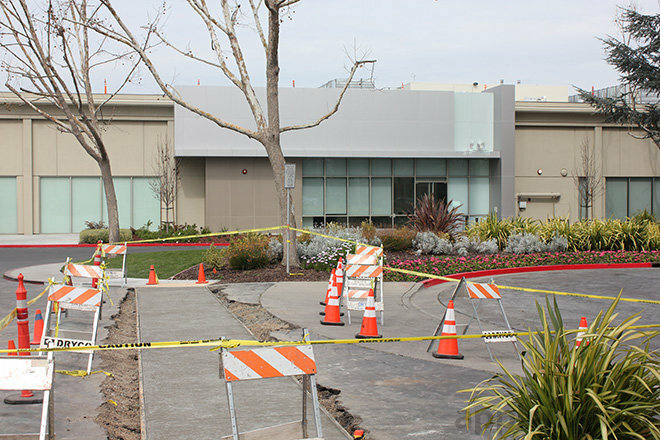 Construction at Apple's Sunnyvale campus, as seen last year. 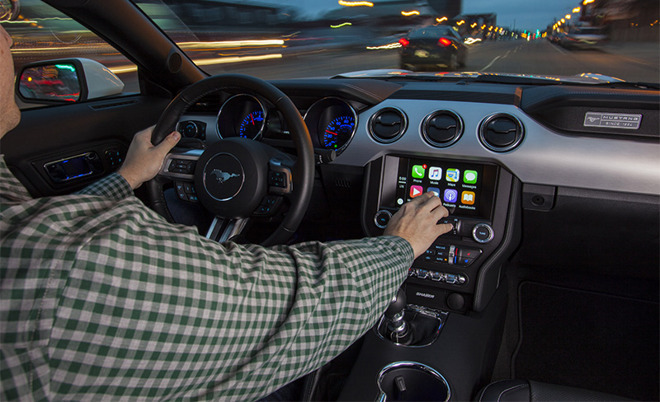 AppleInsider was first to reveal that Apple's automotive efforts were based out of a series of buildings located just minutes from Apple's corporate campus. It's there that Apple hid behind what is believed to be shell corporation with the name "SixtyEight Research," which it may have used to import parts and vehicles without arousing suspicion. Digging further into Apple's expanded California presence, the Silicon Valley Business Journal reported on Monday that many of the secretive buildings run by the company code-named after characters from Greek mythology, including the Titan Rhea, and ruler of the Olympian gods Zeus. In classical Greek lore, Titans and Titanesses preceded the Olympians. They were the first 12 children of Mother Earth, Gaia, and Father Sky, Uranus. "Rhea," in Sunnyvale, is perhaps the most interesting building. AppleInsider first reported in 2015 that the facility, known by street number "175," added a "repair garage" through improvements installed by Apple. According to city documents uncovered by the Journal, the building also includes a "lube bay," "wheel balancer," "tire changer," and wheel sensor." "Rhea" is also where SixtyEight Research claimed to be headquartered. A company by the name of "SixtyEight LLC" imported a 1957 Fiat Multiplay 600 into the U.S. in November of 2014, and SixtyEight Research was listed as an attendee at the EuroCarbody 2015 Global Car Body Benchmarking Conference in November of 2015. Not all of the buildings located in Sunnyvale are likely to be used for "Project Titan." For example, one AppleInsider source with knowledge of the company's structure previously revealed that much of the App Store review team works out of Sunnyvale, and is one of the primary occupants of Apple's largest Sunnyvale building cluster. Meanwhile, in San Jose, the building code-named "Zeus" might suggest that it plays an important role at Apple. But exactly what is in the works at the 290,000-square-foot facility remains something of a mystery. Documents uncovered by the Journal reveal that an "interim lab" sized 25,000 feet will be located there, where just 15 employees will work. Another building, said to be known as "Athena," is a former chip fabrication facility for Maxim Semiconductor. Given its past use, it's possible that Apple uses the facility to build custom silicon, like the A-series chips that power the iPhone, iPad and Apple TV. Finally, Apple's building codenamed "Medusa" appears to host a number of interesting research projects, including a room dedicated to "eye tracking," a "vision lab," and another location for "cog. testing," potentially referring to cognition. The variety of projects there suggest it could be a multi-use facility related to a number of secretive Apple projects. 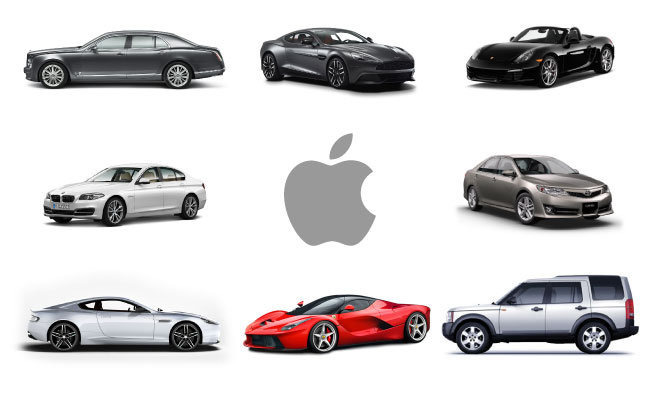 Paperwork filed with the city of Sunnyvale has readily admitted that Apple is testing systems for "high-end cars" at an "auto testing center." Though they help reveal the kind of work Apple is doing onsite, such permits are necessary for the kinds of building improvements Apple has invested in. AppleInsider also discovered in February that a resident who lives near Apple's auto testing center filed a complaint with the city about late-night "motor noises" emanating from the facility. "(Do) there have to (be) motor noises at 11:00 p.m. at night like last night?" the resident wrote to the city of Sunnyvale. "Even with the windows closed I could still hear it."